Our farm site is located two kilometers beyond Awana Golf and Country Resort. This farm is popularly known as Univerisiti Putra Malaysia Hydroponik Farm. 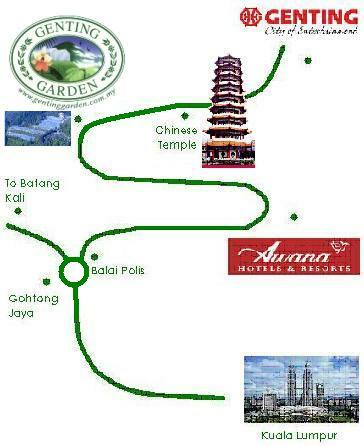 For further directions please call (03) 6101 1154.
www.gentinggarden.com.my © Copyright 1999-2007. Monoluxury Sdn. Bhd.